Beaming with confidence at a very early age, Madi Wolf is so much more than just a top shelf pop singer and stellar songwriter, though both of those skills are on display in abundance on her forthcoming four-song EP Glare, due out in August, and first single “Lucky.” Better lucky than good? The 18-year-old self-described “old soul” is both – and then some! I had the pleasure of catching up with Wolf for a conversation on the Friday before the Independence Day weekend, and as I found out once our chat concluded, the timing could not have been more appropriate. 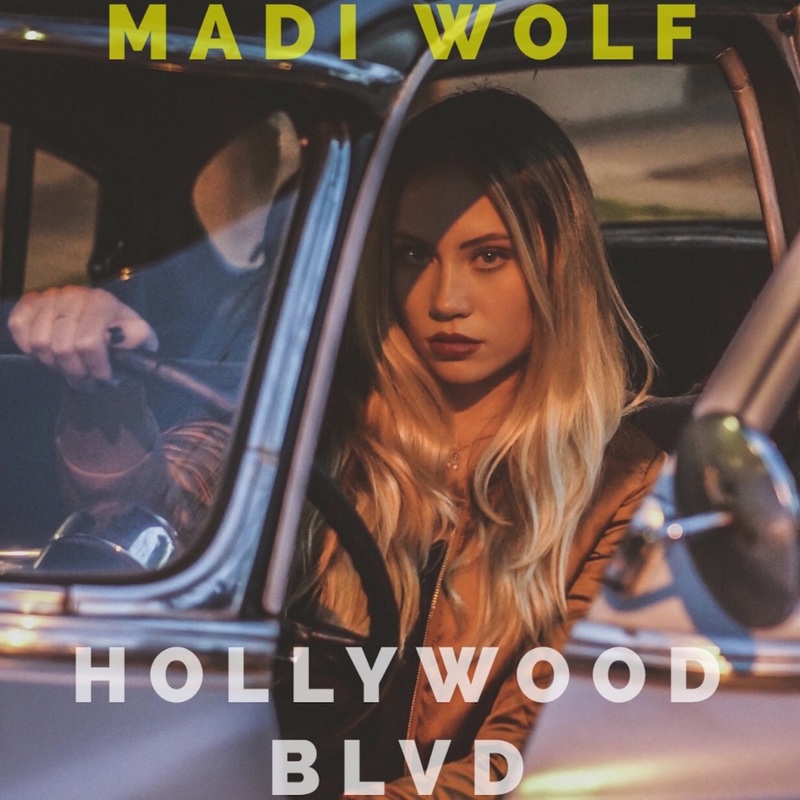 Madi Wolf is a fiercely independent woman and artist who is reaching for the stars and on the cusp of skyrocketing to the top of the charts – you know, like the rockets red Glare! Hi Madi, how are you? I’m doing good. How are you? I’m great. I’m looking forward to our conversation today. Are you ready? Cool. So one of the many hats I wear is that of a bio writer. I’ve written several bios for artists, so as a bio writer I wanted to structure our conversation as if you were writing your own bio – in your own words. Let’s get to know Madi Wolf. You write your first song at 7-years-old, before most kids learn to write their first sentence. What was it called? It was actually called “Decisions.” And at 8-years-old I went into a local studio in Virginia (Madi is a native of Fredericksburg, VA and now Los Angeles-based), my mom booked a session for me because she really believed in me and noticed there was something really different about the song. It was a mature song for my age, and I laid it down on track and I have it to this day on a CD (laughs). “Decisions,” cool. So I often ask artists I talk to about their proverbial “Beatles on Ed Sullivan” moment was. What was the spark that led you to write that song? Was there a song that you heard? Yeah! I had just started taking guitar lessons and I learned a cover song first and it was “Teardrops On My Guitar” by Taylor Swift. I was super inspired by this. I became obsessed with her and I loved the whole idea about making music and I said I’m going to try and do this myself. I sat down in my basement and a few hours later I came upstairs and I said, “Mom, dad, listen to this.” And they were like, wow, that’s really unique. So that’s how I got into it. Very cool. So again, at a time when a lot of kids – and I would venture to say plenty of adults, too – can’t even spell the word “scholarship” without Googling the word (laughs), you were offered one to attend the Berklee College of Music. Did you accept their invitation? It was to attend their summer music program, and at the time I was 13-years-old and I believe you have to be a little bit older to dorm in a room by yourself, and at the time my parents couldn’t spread their schedules out into Boston, you know what I mean, living in Virginia. I have another little sibling, a sister, so they couldn’t be a parent to only me and not to her. It wouldn’t be fair. So I decided to wait until I was a little bit older, but everything went in a different direction and I moved to California, which I love! I love Berklee, it was a great experience and I’m super grateful that I was given the scholarship. Okay, well let’s fast-forward to today – literally today (July 1). Your latest single “Hollywood Blvd” is out today, right? Yes! I’m so happy about that! So after hearing this track several times in the last several days I thought to myself, so who needs a map of the star’s homes when you can listen to this song and it gives you a very good idea about Tinseltown. Tell me the backstory about writing this one. I was traveling a lot to California before I even knew I wanted to come to California for music. I was just traveling because my parents met here and my dad’s from here, and I made one trip out here to actually meet my manager for the first time. I was sitting at the Polo Lounge (famous Beverly Hills restaurant) and the whole culture and the lifestyle of California was hitting me really hard. I was just amazed and working with different producers and writers and taking it all in. I went back home a week later, after actually walking along the (Hollywood) Walk of Fame for the first time, got home, sat down in my living room with just my guitar and the lyrics just poured out because everything that I was writing about had just happened, and it was so true to me and so easy to write. So it was just a story that I just had to say. It’s very descriptive and it has a script-like feel, talking about Hollywood. Sonically, I felt it kind of lush. It’s very cool. So what is the core message of that song? I want people to be able to take that song and know that they can pursue their dreams. Follow your dreams and stop at nothing until you reach your goals. Even (against) the most daunting things, be fearless – go after what you seek fearlessly. Yeah. I’ll circle back on that. Don’t forget that word (laughs). So “Hollywood Blvd” is one of four tracks on the forthcoming EP called Glare, due out in August. Another one is the very upbeat, glass more than half full song “Lucky,” which also has a couple of Hollywood connections, thanks to lines like “Like Frank Sinatra I roll with you anywhere.” Did I get that right? Yeah, you did. Good job (laughs)! A lot of people are like, what is that lyric? Tell me about this one. Yeah, it is very upbeat and it does touch on some similar points as “Hollywood Blvd.” Every song on the EP is very authentic to me and gives a little sneak peek and a little window into how I kind of even arrived at the EP. It tells a little bit more about my story and my journey of becoming an artist. The other connection to Hollywood I made reference to on “Lucky” is that it was featured on several episodes of the FOX show “Coupled.” So give the next generation of aspiring 7 or 8-year-old (laughs) songwriters a quick guide on how getting song placement in commercials and TV shows and movies works. How does that work? Well it’s gonna take some time until you build a catalog, and not everybody’s gonna love the songs and you have to take all the criticism and everything that people tell you and you just have to use it and better yourself to create music. And have an idea. Every song I write I have an idea, like, “You know what, I hear this in this kind of movie, or I can hear this in this kind of a show.” I have something in the back of my mind as I’m writing songs. And have a great team around you, have great people surrounding you and things will happen – great things will happen. And just work hard and stay persistent. What was your experience like with him as co-songwriters? Ryan is just like a really upbeat, energetic person. He brings such a great energy into the room and I think that having his energy is what helped “Lucky” become such a powerful, upbeat song. Him, and I wrote it with Nash Overstreet and Isaac Hasson (Demi Lovato, Selena Gomez). All of them have such great energy and they’re so uplifting and spiritual people that I think “Lucky” was the product of all that. Yeah, and you were the lucky one for having all of that input. Yeah, it was fun. I like writing with all these different people, but Ryan is definitely a lot of fun to write with. Not every song, actually. “Hollywood Blvd” I wrote all by myself. Ah, okay, thank you. I appreciate the correction. Let me ask you about “Crown.” The first time I heard it I couldn’t help thinking about Lorde’s “Royals,” but not just because of the obvious sovereign similarity in the song titles. I think both of you as artists ooze confidence, and that’s what I first got out of the song after a few listens. Thank you, I appreciate that. That’s a nice compliment. “Crown” is just a song about being confident, like you said, and knowing that you are going to (laugh) – not literally – rule! You are a queen bee, you are on top of the world, you are in your prime, you are loving life, nothing could be better than that moment, and you need people to recognize that. (Laughs) Oh my god (laughs)! (Laughs) It’s kinda like Tom Cruise if Risky Business when he flies in and he’s like, “Yeah (laughs)! (Laughs) Yeah, exactly! So the fourth and final tune on the Glare EP is the defiant – in a very good way – “Calling You Out,” which includes the line “I don’t care about burning bridges.” That’s a pretty defiant line. 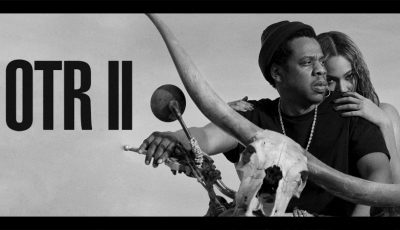 The song as a whole embodies the fierceness – there’s that word I asked you not to forget – found in some of the songs by – and you mentioned “queen bee” a bit ago – “Queen Bey,” Beyonce! I do love Beyonce, yes! Yeah, obviously that fierceness, especially of course on Lemonade, most recently. Tell me how you conjured up this, I think, Beyonce-meets-Pink-like anthem. Yeah, that’s great! Yeah, Pink, definitely. “Calling You Out” is a very honest song. I’m not gonna mention anything, I don’t want to get into detail, of course, but I’ll keep everything anonymous, but I wasn’t having the best day in a music session one day and I’m the kind of person that if I don’t like the way something is going I’m not gonna sit back and let it continue to happen. I’m gonna call somebody out, you know what I mean? So I called this person out and said I don’t like how this is all going, and then it kind of turned into a love song. It wasn’t a love thing that inspired the song, it was just a real life situation and I was like, you know what, I’m gonna write a song about me calling somebody out, but I’m gonna make it from a love and romantic perspective. I think people can relate to that a little bit more. So I wanted to take my experience and make it as relatable as possible. Well any love relationship certainly has its push and pull. Sometimes the people that love each other the most call each other out. Yeah, it’s like you’re bringing me down. Don’t try to bring me down, I’m gonna call you out. You’re shooting me down when I’m weak. You knew I didn’t have a parachute. You threw me off the plane without a parachute and you’re gonna know how I feel now because it’s not okay (laughs). It sounds to me like you’re writing a new song right now. I’ve got it on tape so we’ll hear about it later, hopefully. One more here and I’ll let you get started on your long, holiday weekend. Yes, Happy Fourth to you. I hope you stay safe and sane! Finally, I’d like for you to give me another little personal bio nugget before we wrap. You’re 18 and you describe yourself as an “old soul.” My question is what does “old soul” mean to you? To me, ever since I was little when I started writing music they would say, why are you writing songs (about things) that you haven’t even experienced yet. When I’m in real-life situations I give people an older perspective, a more mature perspective on things sometimes. And I never really fit in with kids in my school, that’s why I was home-schooled from seventh grade on, it’s because people just didn’t really understand me. And people have always used that (“old soul”) to describe me, and so the biggest thing that it means to me is that I have a different perspective and that shows through my lyrics. Even if I haven’t experienced something I’m still able to take it there. Do you know what I mean? Absolutely. And I gleaned all of that through our conversation today. You’re well on your way, Madi. I’ve been very blessed to speak to tons of great artists for many, many years and it’s a pleasure talking to someone who really has their proverbial poop together, if you know what I’m saying (laughs). Thank you! It’s been a pleasure. Thank you so much for your time. An Interview With Singer/Songwriter/Producer MEGAN VICE On Her Latest EP, Working With Michelle Obama And Much More! An Interview With Founder and Member of Nitty Gritty Dirt Band, JOHN MCEUEN! 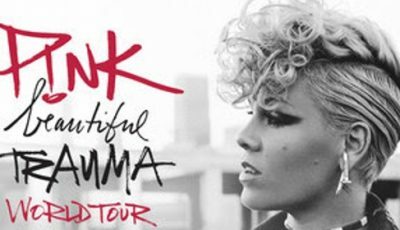 PINK’S ‘Beautiful Trauma World Tour’ Stops in Downtown LA’s Staples Center! 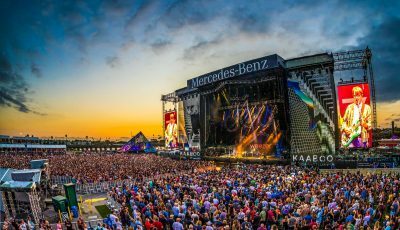 KAABOO 2017 Delivered Live Music, Culinary Delights, Comedic Performances and Worldly Art!